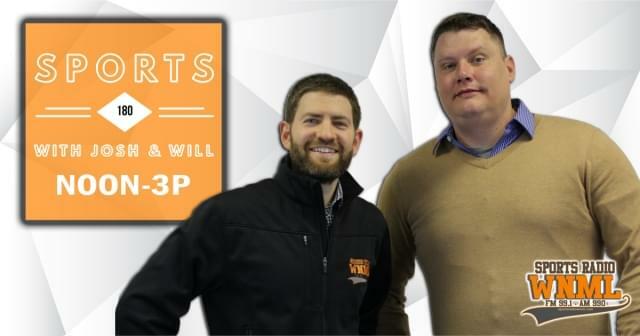 WNML’s Midday show, Sports180, gives the audience thorough content with an entertaining spin as Josh Ward and Will West hit on a bevy of topics every weekday from 12-3 p.m.
Sports180 is fast-paced and unravels the latest in Tennessee football and the world of sports. The well-rounded show connects its audience to the University of Tennessee and beyond with nuggets on professional sports as well. 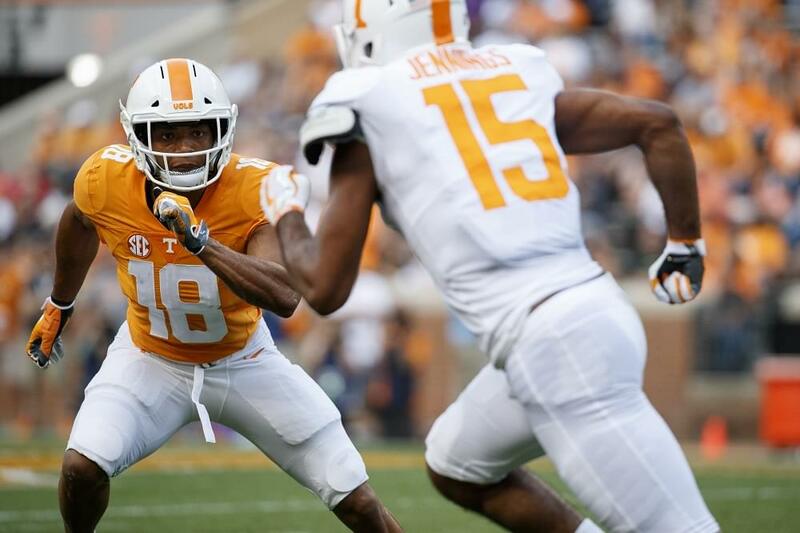 Ward gives you the latest on the year-around haul of Tennessee football recruiting while West hands off his hard takes on sporting news each day. Together, the co-hosts field calls and interact on social media throughout the program to create a personal relationship with their listening audience. Listen every day at 12:50 for the ‘Face Off’ where producer Joel Silverberg throws out five tough questions that the hosts square off on. At 1:50, Silverberg sets the scene for thee ‘Stock Watch’ where Ward and West must decide to buy, sell or hold a certain topic. The ‘Rumor Mill’ makes an appearance everyday in the 2 o’clock hour to give the latest on what is going on while The ‘Power Poll’ closes out each show as the duo welcomes John Wilkerson in the fold for the show’s final segment of rating sports topics. Sports180 brings aboard some of the best reporters, hosts and broadcasters nationwide to give their weekly takes on Tennessee athletics: Barrett Sallee of CBS & ESPN, Braden Gall of Athlon Sports, Jay Busbee of Yahoo, Will Shelton of GameDayonRockyTop and Jonathan Hutton of Midday180 and the Titans Radio Network. Josh Ward began his tenure with the station at 16 years old in 2001 and has worked his way up ever since. A local product, Ward graduated from Farragut High School in 2003 and form the University of Tennessee in 2007. Sports 180 officially hit the airwaves in ’07 and welcomed Will West onboard in 2009. Aside from WNML duties, Ward podcasts weekly for SEC Country and welcomed baby Owen into the world in the winter of 2018 with wife Kellie. 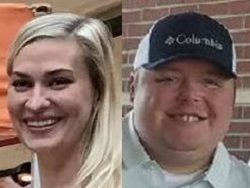 Will West joined the staff in 2007 and has worked nearly every position available at Cumulus Knoxville prior to being promoted onto the Sports 180 airwaves with Josh Ward in 2009. West spent years doing morning sports updates on WIVK and NewsTalk 98.7 and is the creative mind behind a number of specialty shows throughout the seasons, such as the WNML Draft Show. 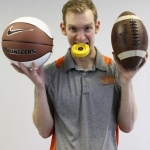 Joel Silverberg has been a WNML staffer since 2014 and produces both The Erik Ainge Show and Sports 180. Born and raised in Knoxville, Silverberg attended Piedmont College where he played tennis from 2011-14. On weekends, he hosts ‘Saturday Sports Talk’ and broadcasts every home game for the Knoxville Ice Bears. An avid Tennessee sports fan, Silverberg roots for the Titans, Predators, Grizzles and of course, the Vols.